One knife to take a life. One breath to honor Death. Dustin Graves can’t get a break. Murdering an Old One was only the beginning. Enraged, the Eldest have answered with searing rains of ivory fire from the stars, threatening Valero and the world itself. The madness must be stopped. Ancient gods of prophecy, death, and darkness themselves answer the call for battle. But the secret to saving the world lies closer to Dustin's heart than he knows: a ritual sacrifice, meant to end the suffering. After all… what’s one life against the fate of billions? 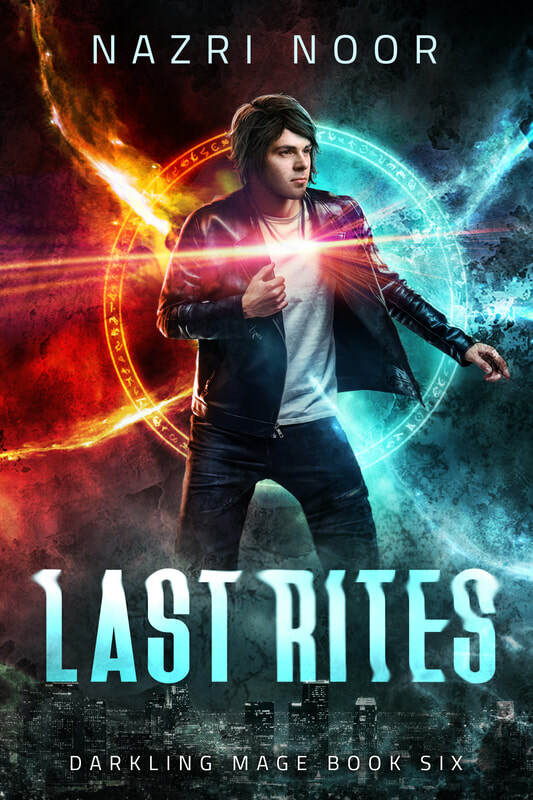 If you like snarky heroes, snappy dialogue, and a bit of grit and gore, you'll love the sixth book in Nazri Noor's series of urban fantasy novels. Explore the Darkling Mage universe and discover Last Rites today. Read on Amazon and Kindle Unlimited! 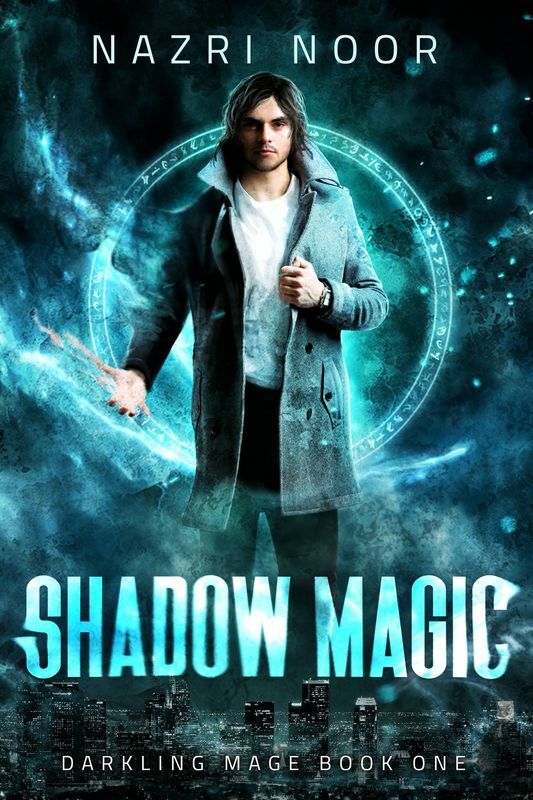 Shadow Magic is now available in audio! The audiobook is performed by award-winning narrator Luke Daniels, who has lent his voice to the works of Kevin Hearne, Nora Roberts, George R.R. Martin, and many, many others. Shadow Magic is currently available on Audible, Amazon, and iTunes. Listen to Shadow Magic now! The first three Darkling Mage books are now available in one conveniently packaged digital box set. Grab this edition to save 23% off the price of buying each book individually, or read in Kindle Unlimited for free! Magic, mythology, murder, and mayhem collide! Read the first three books in the Darkling Mage supernatural suspense series and indulge in almost 200,000 words of urban fantasy action. If you like Shayne Silvers, Orlando A. Sanchez, or John P. Logsdon… well, you’re in for a treat. Explore a dangerous and darkly comical new universe. Discover Darkling Mage today. Dustin Graves has three days to live. The darkling mage has found himself in the company of scoundrels. Maybe that’s what Dustin deserves: a werewolf, a vampire, and a talking sword for teammates, and a rogue sorcerer as his mentor and master. But a doomsday cult has surfaced. Twelve mutilated bodies are found drowned in blood and in wine. The massacre stinks of both the divine and the supernatural. Worst of all, an ancient god sends Dust on a lethal mission, one he must complete in three days. The reward? He gets to live. Well… maybe. ​If you like snarky heroes, snappy dialogue, and a bit of grit and gore, you'll love the second book in Nazri Noor's series of urban fantasy novels. 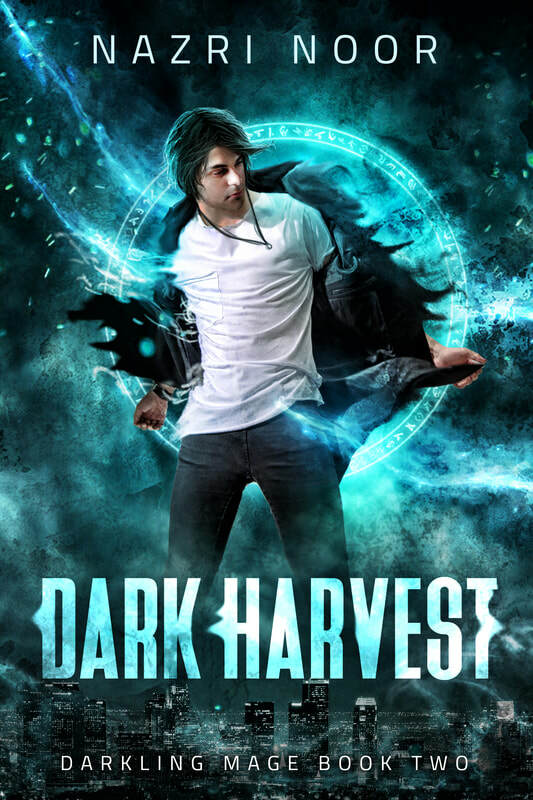 Explore the Darkling Mage universe and discover Dark Harvest today. Something has stolen the darkling mage’s face. Reports of arcane theft and violence are pouring in from all over Valero. They all have one thing in common: a perpetrator who looks exactly like Dustin Graves. But Dust has been hanging in the hideout, barely out of sight of his bloodthirsty companions. An impostor is clearly on the prowl, and soon a vampire clan, the Lorica, and even Dust’s own allies are giving him hell for crimes he didn’t commit. There’s also the matter of finding an entity powerful enough to reforge Vanitas. But the darkling mage will pull through. Dustin always does. Well… except when he doesn’t. ​If you like snarky heroes, snappy dialogue, and a bit of grit and gore, you'll love the third book in Nazri Noor's series of urban fantasy novels. 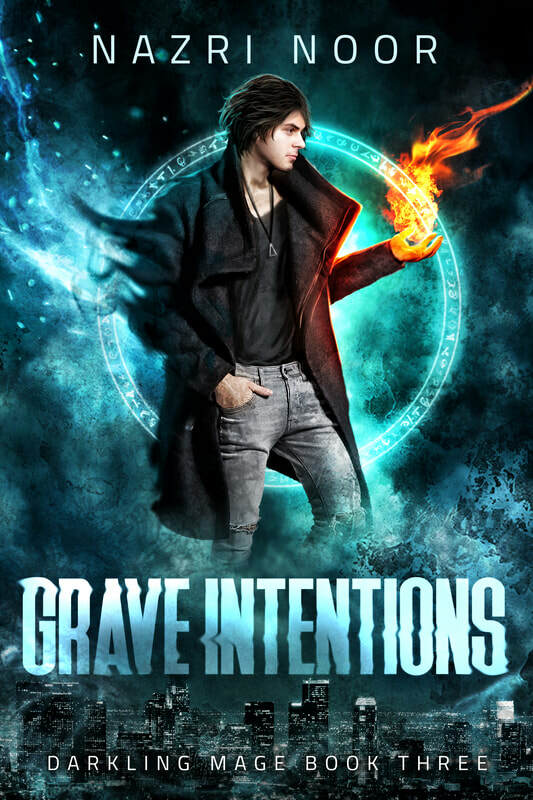 Explore the Darkling Mage universe and discover Grave Intentions today. 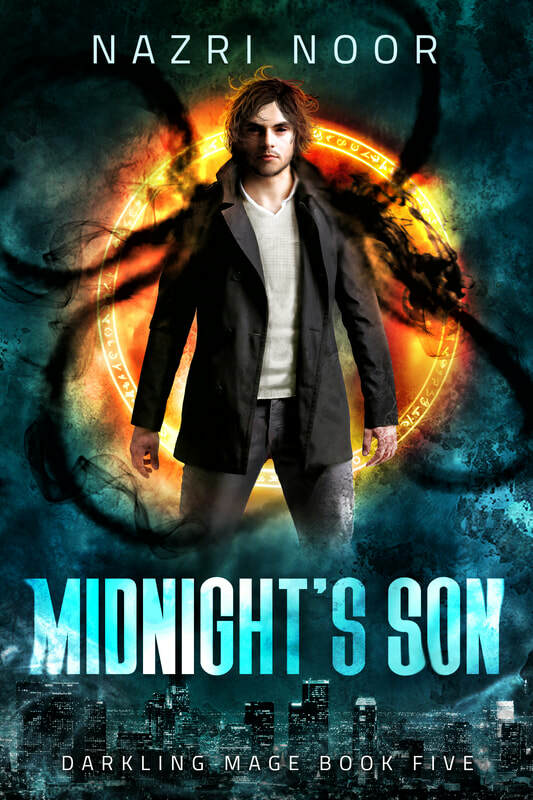 A massacre, a manuscript, and a demonic midnight bargain. Dustin Graves goes on a rare night out with the boys from the Boneyard, but things go horribly wrong. Over a hundred revelers drop dead at a pop diva’s concert, bleeding from their eyes and their ears. Miraculously, Dustin and his undead associates survive. ​If you like snarky heroes, snappy dialogue, and a bit of grit and gore, you'll love the fourth book in Nazri Noor's series of urban fantasy novels. 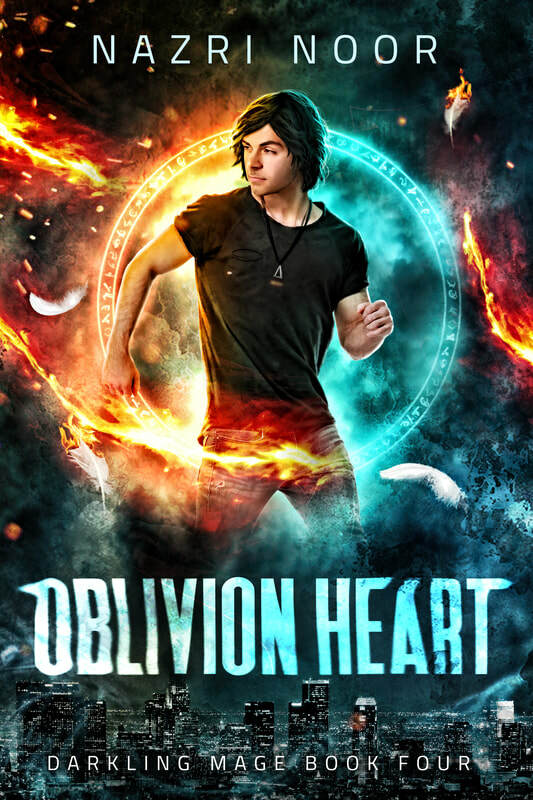 Explore the Darkling Mage universe and discover Oblivion Heart today. The walls of our world have shattered. The Eldest are coming. Mad angels and demon princes were once the worst of Dustin Graves’s problems. Now rifts are tearing open in the fabric of reality. Eldritch abominations are slipping through, plunging the world into peril. All signs point to the awakening of the cosmic horrors known only as the Eldest, and Dustin desperately needs immense arcane power to stop them. The quickest way is to offer himself to the Midnight Convocation, a grand assembly of the entities of night and shadow. The only question… who gets to claim his soul? 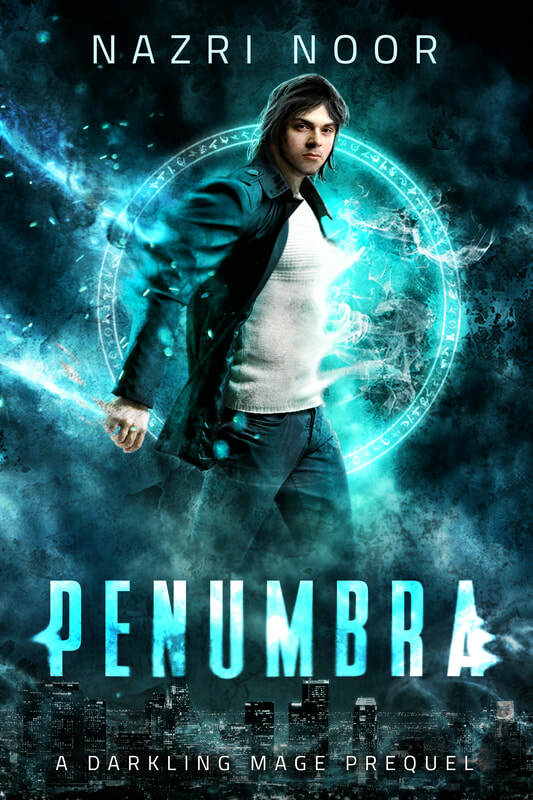 Penumbra is the prequel to author Nazri Noor's Darkling Mage series of urban fantasy books. Click below to receive the book for free.